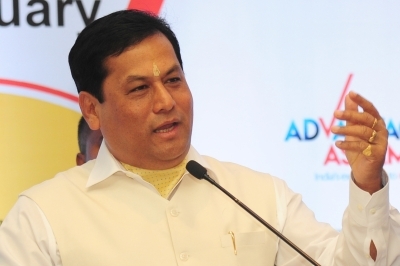 Guwahati July 14 (IANS) Assam Chief Minister Sarbananda Sonowal on Friday laid foundation stone for the state s first cultural university at Majuli to be built at an estimated cost of Rs 300 crore. "A society becomes disciplined only when its members have a cultured mind and the Cultural University would be able to pave way for the state s youth to study the colourful cultural heritage of the state in a systematic way " said Sonowal after laying the foundation stone. He said the state government has already released an amount of Rs 4.5 crore to make Majuli a model organic hub. He said that the farmers of the Island district must engage themselves in organic cultivation for contributing in shaping a healthy future generation and the river island can lead the way in this organic revolution in the state. Stating that in the last two years projects worth Rs 1 000 crore have been launched in Majuli Sonowal urged the people of the district to keep a strict watch over the government schemes implementation. He also said that the government is committed to make Majuli a leading tourist destination. The Chief Minister also announced that a project would be taken up soon for encouraging the artists engaged in boat art. "The Cultural University would be a great place for learning about the state s vivid culture " he said. Sonowal also distributed tractors to 10 farmer groups at the programme under Chief Minister Samagra Gramya Unnayan Yojna. As per the plan a tractor would be provided to each of the 112 revenue villages of Majuli district. He also presented recognition cards issued by the Directorate of Information and Public Relations Assam to 15 journalists of the district and felicitated artists engaged in traditional boat art at Salmara area of Majuli apart from felicitating crew and owner of the ferry boat "Jalpari" for saving the passengers from accident.